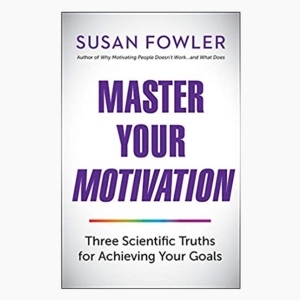 Susan Fowler | Why are managers such lousy motivators? My team and I went to SavvyRoo, a cool site where people can enter their question and rank other people’s posts, and we asked leaders for their top question about workplace motivation. 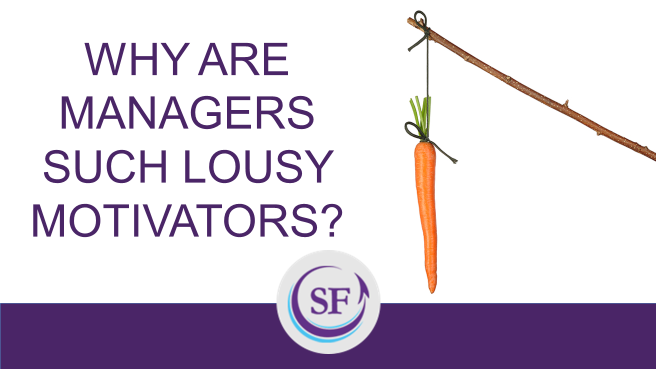 Out of hundreds of questions, this one surfaced in the top 10: Why are managers such lousy motivators? Most of the entries asked about how to motivate people. But this question tugged at the deeper issue of why motivation is such a challenge. There’s good science to explain why managers are typically lousy at motivation. You may be familiar with Ken Kovach’s seminal research. Individuals rank 10 workplace motivators. 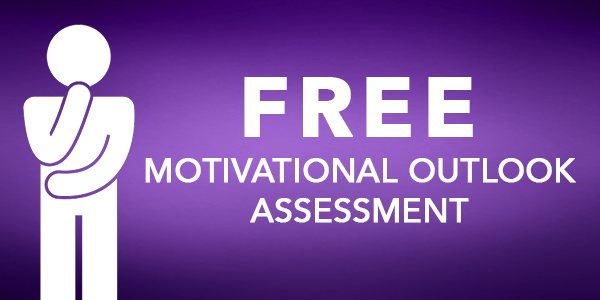 Their answers are compared to rankings of what their managers think motivates them. The results reflect how most employees feel: My manager doesn’t know what motivates me. Kovach’s research has been replicated and validated over the past four decades, and while employees’ rankings of the motivators changed as workplaces evolved, a fascinating phenomenon emerged. The gap between managers and employee responses didn’t change. Managers simply do not understand what motivates the people they lead. Why the big disconnect? Here are four potential reasons. I made up the names of the syndromes, but they are based on contemporary science that confirms many of Kovach’s early suspicions and provides new motivational insights. Many managers may be high achievers who prefer concrete measures, such as money, that reflect on performance. Money may serve as a quantifiable way of keeping score. Thus, even though good wages might rank in the middle of employees’ motivators, it almost always appears at the top of managers’ lists of what they think motivates employees. A more likely explanation for the gap is that leaders cannot see into the minds or hearts of their employees. Managers do not have access to an employee’s internal state of motivation, only their own. Thus, managers tend to attribute internal motivations to themselves while judging others to be externally motivated. And once you start looking at the nature of remote employees, whose managers literally don’t see them face-to-face on a regular basis, it becomes nearly impossible to determine what might motivate them. Is it any wonder that managers tend to default to external motivators such as incentives, bonuses, raises, prizes, and rewards — despite compelling evidence they don’t motivate people in a way that improves productivity, creativity, well-being, or sustained performance? This leads to the next syndrome. Managers choose to believe that what motivates people are things outside the manager’s control. For example, pay raises are usually determined by formalized organizational policies, not by personal relationships between managers and employees. Thus, managers can “pass the buck” when it comes time to assign blame for poor levels of employee motivation. “I can’t give you a raise.” “I’m not authorized to give you a bonus.” “I don’t control who gets promoted.” If it’s not within the managers’ power to award monetary rewards, and that is what managers think motivates people, it’s no wonder they are considered lousy motivators. Managers depend on their observations of external behaviors and conditions to evaluate their employees’ motivation. Unfortunately, many leaders are not perceptive observers, nor are they wise interpreters of what they see. It’s not (yet) common practice to sit down with your employees and ask them what motivates them. And it certainly isn’t common practice for employees to tell their leaders what their internal motivators are. Until those conversations are built into reviews and regular one-on-one meetings, people can’t expect much to change. Understanding someone else’s internal state of motivation by observing their external behavior is almost impossible. Unfortunately, many people in leadership simply have a misunderstanding of the nature of human motivation. They rose to positions of power with underlying beliefs they haven’t explored in light of the evidence. For example, science says people want to thrive, they appreciate a meaningful challenge, and they want to contribute. But, many managers believe people are basically lazy and naturally disengaged. Science says that relationships, emotions, and well-being are at the heart of productivity. But, many managers believe business is not personal. Even the most senior leaders often hold old-world beliefs that are in sharp contrast to the truth of human motivation. Despite all the syndromes, the motivation disconnect between managers and employees isn’t all the manager’s fault. Employees don’t understand the nature of their own motivation either. They haven’t been educated about the three psychological needs required for them to thrive (autonomy, relatedness, and competence). So, when an employee is unhappy at work, she is inclined to ask for more money while saying under her breath, “They don’t pay me enough to put up with this.” She longs for something, but without insight into the true nature of motivation, she calls her longing money. Managers are left with the impression that to be happy at work, employees require more money. People can’t ask for what they don’t know they need. È assolutamente così, spesso sembra che il Leader non dia valore alla motivazione e non la collega al benessere del dipendente , non riesce a vederne i benefici nell’operatività nella fiducia e nei risultati. La motivazione e il risultato passano da Leader che siano interessati a capire la natura umana e si sentono responsabili del benessere organizzativo.